Everything seemed to be going well for the engineer turned blogger turned speaker, but all that changed when he visited the doctor’s office for a routine check-up and was diagnosed with a life threatening disease. 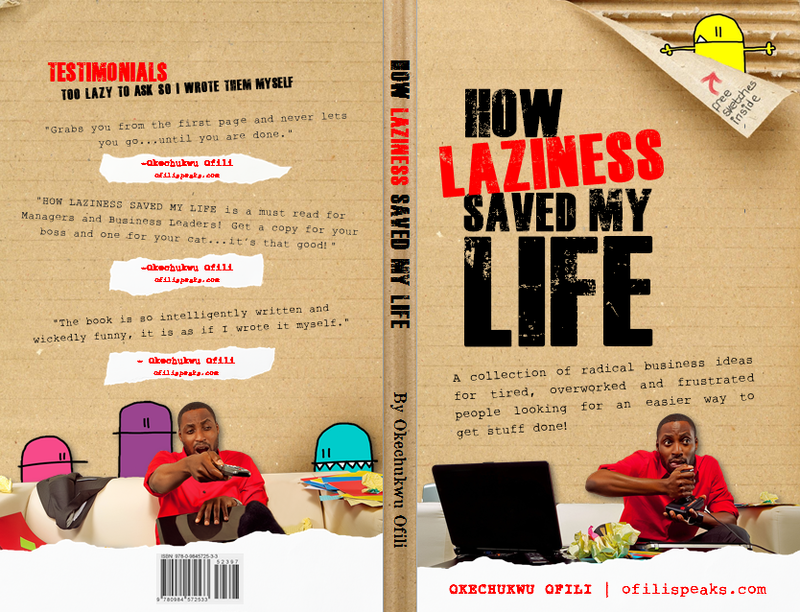 The result is the witty book; “How Laziness Saved My Life” which is a collection of radical business ideas for tired, overworked and frustrated people looking for an easier way to get stuff done! “How Laziness Saved My Life” is a hilarious attack at the way corporations and businesses push themselves and their employees to the brink of stress. 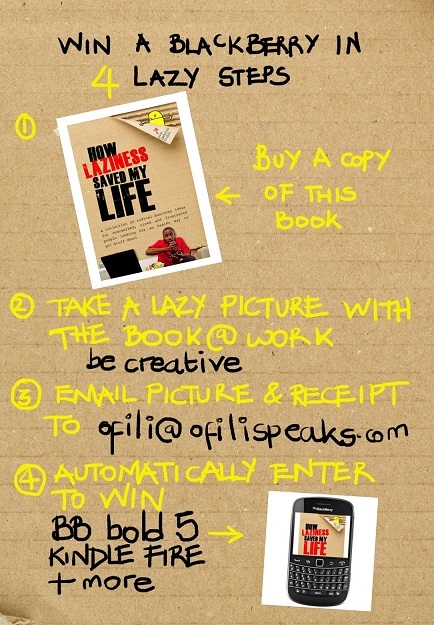 With chapters such as: “Three Things I Learned From Getting Kicked In The Head” and “Why We Need Fewer Meetings and Managers,” Ofili is able to poke fun at the work institution as we know it but at the same time offers up simple solutions for managers and entrepreneurs to get the most out of themselves and their employees without killing anyone in the process. Grabs you from the first page and never lets you go…until you are done or NEPA takes light. The book is currently available on Amazon at http://amzn.to/getlazy and at major Nigeria bookstores including Silverbird Lagos, Silverbird Abuja, Silverbird Port-Harcourt, The Hub Media Lagos, Laterna Lagos and Terraculture Lagos.